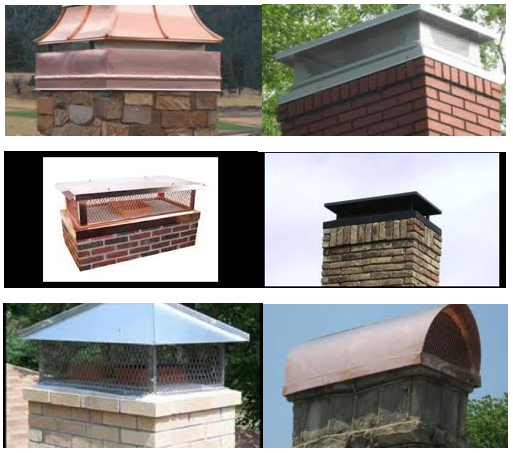 The choices are practically unlimited when it comes to adding a cap to your chimney. From the most basic unit, to the high end designer models, the choice is yours. We stock the most commonly used sizes of professional grade lifetime stainless steel chimney caps at all times but we can have most anything you desire custom made as well. You can have your custom cap made from copper, stainless steel, powder coated stainless steel in several colors and even terra cotta units are available. They can also be custom built with various pitched lids to match the roof of any home. These caps are not only functional when keeping the elements and wildlife out, but are also very beautiful and when installed are the finishing touch to a well designed home.